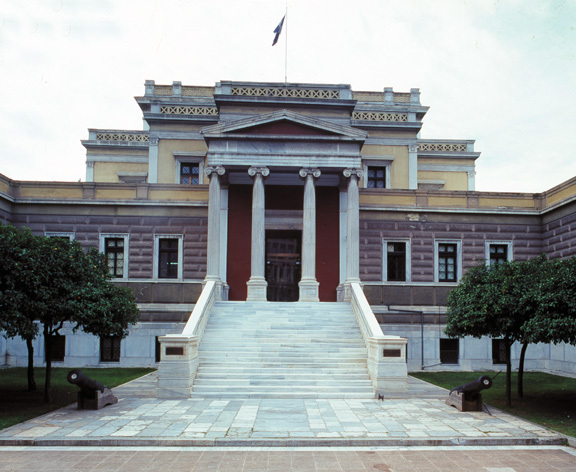 The National Historical Museum was founded in 1884 and it is the oldest museum of history in Greece. It belongs to the Historical and Ethnological Society of Greece which was founded in 1882 with the purpose of collecting and preserving historical objects and written evidence which narrates the greek history from the Fall of Constantinople till today. The core of museum’s collections was created from the donations of the families of Fighters of Greek War of Independence (1821). The museum is housed from 1960 in building of old parliament which is located in the beginning of Stadiou Street. There are no catalogued instruments with this location.